If we happen to have fresh bread, salad and sandwich filling-type items in the fridge, I like to make sandwiches for our work lunches as I know Jac loves sandwiches. On this occasion, we had both wholemeal and multigrain bread*, so I used both breads. 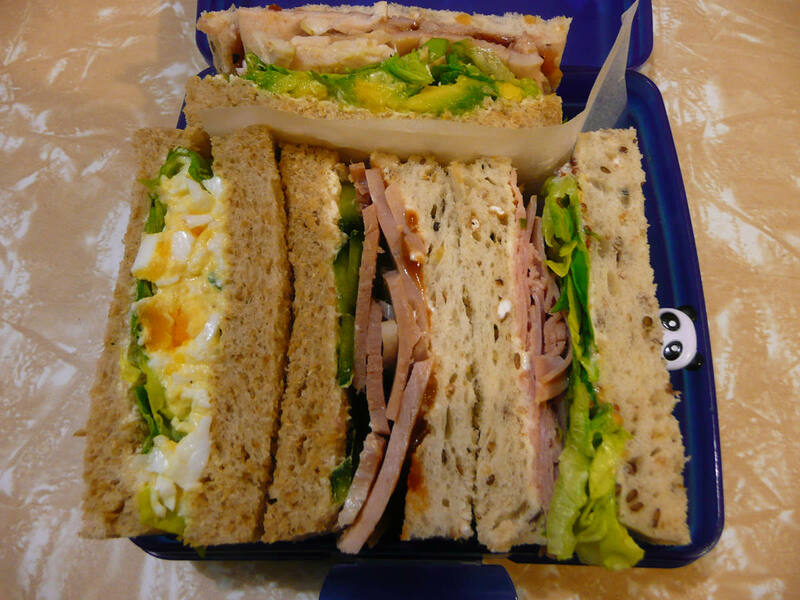 I poked animal picks into the sandwiches to help keep them together. honey ham, lettuce, mayo, wholegrain mustard. roast turkey breast, avocado, raspberry jam and lettuce. 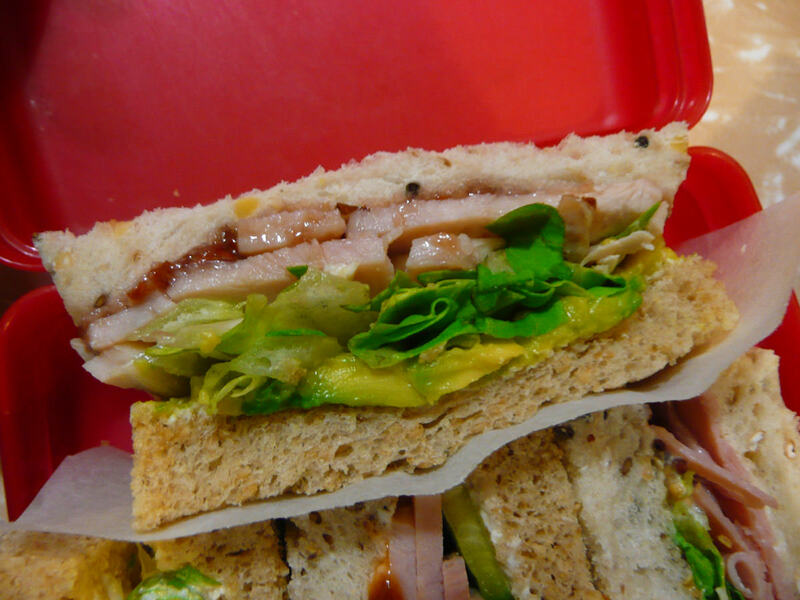 This is a close-up of roast turkey breast, avocado, raspberry jam and lettuce sandwich. I knew this one would be Jac’s favourite out of the lot. So here’s the note I put into Jac’s Sandwich Keeper. 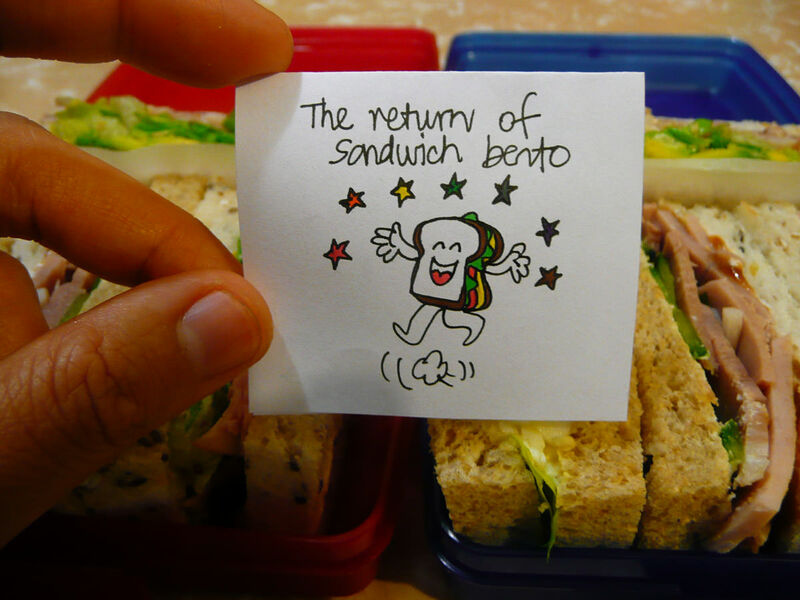 I made the stars on the note multi-coloured to celebrate the return of the sandwich bento (and the little sandwich is all “yay!”) – it felt like it had been a long time since I made Jac sandwiches for lunch. 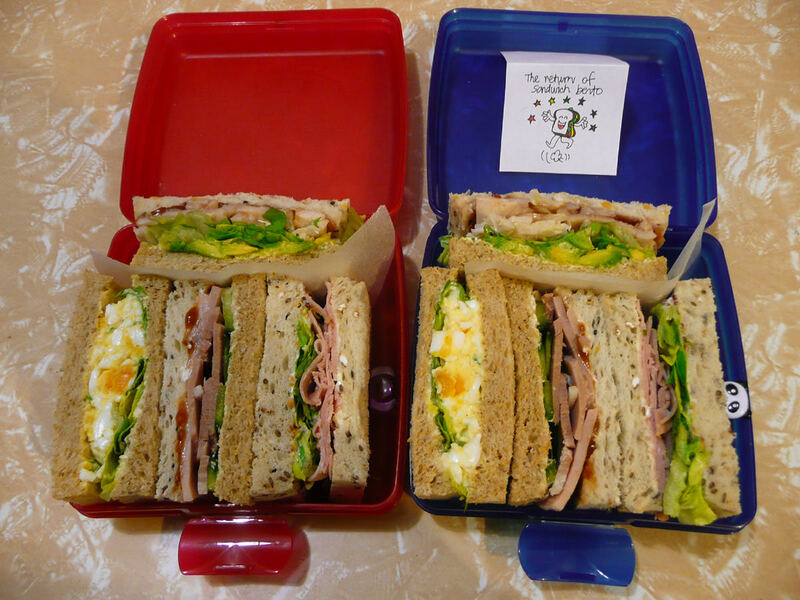 The sandwich boxes used are Sandwich Keepers, made by Tupperware. We bought ours years ago – Tupperware makes them in different colours now. The panda food pick is from a set of 10 Animal Friends Picks, from JBox. *I prefer multigrain, Jac prefers wholemeal. Most times she’ll happily eat multigrain, but sometimes we’ll buy two loaves of bread – wholemeal for her and multigrain for me. I actually prefer white bread most of all, but we all know it’s not good for you, so I eat multigrain most of the time, and wholemeal sometimes.